SURF PALS CATCHES TASTY WAVES WITH ASD KIDS! STEM CELLS: THE FINAL PIECE OF THE AUTISM PUZZLE? It’s a discussion I’ve often had with my wife Linda over the years. As I share with her the latest findings about how to rid our daughter’s body of heavy metals, and bacterial and viral infections my wife asks the inevitable question that her years of training as a speech therapist compels her to ask: How much damage has been done between the time of injury and the time we addressed these problems? Because she works as a speech therapist in the rehabilitation unit of a major hospital she has seen the damage done to the brain by car accidents, strokes, and cancer. She has seen startling recoveries, understands the value of hope, but also knows that many times the dream of complete recovery goes unfulfilled. It has been with great interest that I’ve been investigating the idea of stem cells as a treatment for autism. In 2007 an article entitled “Stem Cell Therapy for Autism” was published in the Journal of Translational Medicine and I’ve learned that the authors of that paper have treated many children using this approach with in some instances, amazing results. The idea behind how stem cells work is relatively easy to grasp. Simply put, stem cells home in on low oxygen environments, and once in place, start fixing the damage. Whether this is through the release of nerve growth factors or the stem cells merging with the damaged cells and “fixing” them is unclear at this point. It stands to reason that those areas of the brain in which mercury deposited itself would subsequently find themselves starved of blood and the accompanying oxygen. One can imagine that those areas of the brain which are developing the network necessary for speech and social interaction must be ravenous consumers of oxygen. Cutting off that supply would conceivably lead to a near atrophy of those areas. Could the lack of oxygen at a critical period of development cause autism? The use of CD-34 stem cells has been shown to promote the growth of new blood vessels in damaged areas such as end-stage heart disease and poor blood flow into arms and legs. CD-34 stem cells have been used in various procedures since 1988 and have compiled an excellent safety record. The authors of the original paper on stem cells and autism also believed that the gut problems of these children could be addressed using stem cells. Their theory is that the gastro-intestinal problems experienced are the result of immune disregulation. Mesenchymal stem cells, taken from bone marrow, assist in modulating the immune response. One of the first children to be treated with this combination of CD-34 stem cells and mesenchymal stem cells was Matthew Faiella. I spoke recently with his father Daniel. Readers can go to his web-site www.recoveringmatthew.blogspot.com for more information about his son. Matthew is seven years old and prior to the stem cell treatment his parents had tried numerous therapies, including bio-medical, ABA therapy, mild H-BOT, and vitamin supplementation. The mild H-BOT had given some positive results, but not the dramatic changes for which they were looking. Daniel thought it important to note that the CD-34 stem cells are derived from umbilical cord blood and thus are not subject to the ethical concerns inherent with embryonic stem cells. Aside from the ethical concerns regarding embryonic stem cells there are some formidable scientific challenges as well. The first problem is that anywhere from 50%-70% of all embryos naturally abort themselves because of genetic errors. If one uses stem cells derived from an embryo there is no way of knowing whether that embryo would have developed into a viable organism. Second, embryonic stem cells have shown a propensity to develop into cancer cells. In 2002 Chinese researchers reported the successful formation of tumors from stem cells, and in fact, the development of tumors in mice injected with embryonic stem cells showed that the scientists had actually cultured such cells. There is a report of a man with Parkinson’s disease who was treated with embryonic stem cells in China subsequently developing a cancerous tumor in his brain which later killed him. From his research and what he learned from Valerey Cabrera, Daniel decided to seek treatment for his son at the Institute of Cellular Medicine in Costa Rica. The course of treatment involved four injections over a four-day period for a total of 7.5 million CD-34 cells and cost approximately $15,000. (He did not use the mesenchymal stem cell treatment at that time.) After the first treatment in February of 2008 he noticed that within a few days Matthew became calmer, more talkative, and more aware of his surroundings. Other changes included raising his hand in class, asking questions, comprehending more, and the cessation of bed-wetting. Additional benefits included being comfortable enough to go on amusement rides, the disappearance of his activity-induced-asthma, and the development of a sense of empathy. When his mother arrived home feeling ill after having dental work, Matthew said he would take care of her until she got better. Daniel and his wife were so pleased by the progress their son made after the treatment in February that they went back for an additional treatment in June of this year. I discussed the treatment protocol with Donna Gates (author of “The Body Ecology” diet), who has been involved with the effort to use stem cells with autistic children from the beginning. Her opinion was that for many of the children who start bio-medical interventions early that they may not need stem cell treatments for recovery. However, for some of the older kids who are still struggling with recovery it may be just what they need. Current estimates are that about 50-60% of the kids treated with this therapy have responded positively, sometimes dramatically. It is thought that those children who are most likely to benefit are those children who have undergone significant removal of heavy metals as well as addressing the various bacterial and viral infections, but still have not shown expected recovery. Further study is continuing to discover those factors which are most likely to result in full recovery. The use of stem cells for autism at the Institute of Cellular Medicine in Costa Rica has been something of a victim of its own success. Approximately fifty children have received the treatment, and like Valerie Cabrera and Daniel Faiella they’ve wanted to discuss the results with the local media. However, Costa Rica is reticent to be drawn into the current debate over vaccines and autism and thus wants to keep any work done in the field relatively quiet. The United States company, Medistem, Laboratories Inc. which licenses its stem cells to the Institute of Cellular Medicine in Costa Rica is currently looking to transfer its autism program to neighboring Panama. The program in Costa Rica is not currently accepting new patients, but hopes to in a few months in Panama. Could stem cells be a therapy which might help those children who have not responded as well as hoped to current bio-medical practices? I’ve written before about how when my son Ben went mute for twelve days after his eighteen-month shot I immediately put him on the gluten/casein free diet and now he’s entering third grade at the top of his class, both socially and academically. By contrast, my daughter who was four-years-old when we started her on the gluten/casein free diet as well as all of the other bio-medical treatments over the past six years still can’t walk into a class, speak clearly, and has to wear a diaper. I have seen recovery and the failure to recover. But I remain hopeful that science may yet give us answers. I’ve heard people talking about a window during which a child may be pulled out of autism. Maybe that was what I was able to do with my son. Can stem cells widen that window so I can now extract my ten-year-old daughter? It is another question for which I don’t yet have an answer. But it gives me a possible answer to my wife’s question. Yes, there probably is damage to our daughter’s brain. However, stem cells may be able to address that problem. The quest to help our children has not yet reached the end of the road. If you’d like further information about this therapy you can go to www.cellmedicine.com or call 1-800-980-7836. Kent Heckenlively is Legal Editor for Age of Autism. My son 12 y old is a high function Autistic kid, is good in academics and speech, but facing problems with his behaviour and stimming and irritating nature. We have tried all possible therapies and bio medical treatments but of no use. One report from GPL (Grate Plains Lab) USA indicated that his lead levels in blood are vey high (19 micro grams/deci liter). Then we have started chelation but not successful. My main question: Can stem cell therapy remove lead from the blood? I am from India, I have a 4 yrs old son diagnosed with mild autism. His cars score is 27. Will stem cell therapy help him and where can I find such therapy in India. MY PROFOUND GRATITUDE GOES TO DR SHANT TAMI FOR CURING MY ONLY SON EPILEPSY WITH IS PIRITIN B1 LIQUID SPIRITUAL HERBAL REMEDY DRUGS, THIS MAN REALLY DESERVE THE MONUMENTAL AWARD GOING TO HIM BY MINISTER OF HEALTH. WHO WOULD HAVE TAUGHT MY SON EPILEPSY WILL BE CURE, WITH IS PIRITIN B1 LIQUID HERBAL REMEDY DRUGS MY SON WAS CURE.. TALK THIS GREAT POWERFUL MAN TO CURE YOUR DISEASE TOO, YOU REACH VIA INDIANSPELL@YAHOO.COM IS DIFFERENT HEALING DRUGS IS REALLY POWERFUL. My daughter is now 10 years old diagnosed as high functioning autism with ADHD, I am looking for solution when I come accross this page. I am asking is there any through the stem cells therapy. Myself mv krishna from India.My son 6 1/2 years age suffering with epilepsy and daily he is getting convulsions for 3 to 4 times with a duration of 10 to 15 secs.He is bed ridden and not doing any regular activity.Kindly suggest the best hospital to treat him with stem cell theropy.pl mail me. My son recieved a stem cell transplant June 4, 2011 ... It has been nothing short of a miracle for us. He is learning by leaps and bounds ..
See my blog if you want more information. To Ann Chai or anybody else who is interested. If you are refering to AFA extract, what that does is basically an adult stem cell booster which produces 3 to 4 million in your own body, which is own by STEMTech. If you need more info please email me at jawsoflife349@aol.com. Hope all is well. my son is 11. He has autism, epilepsy and possible ADHD. i desperately need help for his treatment. He has no speech and no eye contact 50% only. He is dependent on us on every single need of his life. please help me with the possible stem cell treatment for him. i like to know can stem tech AXA Extract capsules use to cure autism in a child of 5 years old. my son is 12. He has autism, epilepsy and possible ADHD. i desperately need help for his treatment. He has no speech and no eye contact. He is dependent on us on every single need of his life. Hi Suren, I read your comment today and was wondering if you got any info on stem cell treatment in SA. If you contact me via email I can give you more info as I also life in SA and know about stem cell treatment available in SA at present. I am from India, my son 4 yrs old is High Functioning Autistic with ADHD. There is Stem Cell Treatment avialable here, can you please help me with a check list for the selection of a genuine Stem Cell Treatment type/clinic. I am a father of autistic boy,he is 13years old,he dont speak,he is very lonely,he dont like to share anthing he prefers to stay at home and i heared about stem cells as a treatment for his state,if some one have the same problem,please send me email.thanks. Where can I get more information about eliminating mercury and other heavy metals from my autistic childs system ? I am glad you feel that way. My children are now 24 and 29. It is not as simple as you say because there is also health issues with all this too. Mine have to take seizure medications, or other types of medications just to function. They have to watch their diet, no fast releasing carbs, or white flour, or sugar because thier GI tracks really turns on and their muscles (not just thier joints) stiffen up . There is more going on than just a personailty thing. Think about your children, think of all the amazing things that they can do. Now imagine them when they are 20. I am autistic, I am 24 and almost graduated from College. I am studying Special Education. My parents had the same worries and concern when I was three. but I am successful and I would never give up who I am to become like everyone else. Autism has many negative effects, and my heart goes out to those who have low functioning autism. But everything I am is Autistic, you take that away from me adn I would be a different person. And I like who I am. Please look at the positive aspects of your children. and don't be hasty using untested methods for a cure. My son does not have an official diagnosis at this point but we are confident he needs to be treated now at 5 years old since he has had very little improvement with ongoing therapy. Is there anyone how have done the stem treatment who would be willing to be in touch and give their experience and feedback. I am desperate to help my wonderful non verbal son. Thanks. My son is 30months & is diagnosed with autism. Will this stem cell treatment work for him? Where can i get this treatment? Hi there, My 4 year old son is diagnosed with autism.I am looking for stem cell theraphy.Do u know the best place to get it? I am from India. I have a 3-year-old boy who suffers of autism. I heard about this therapy a week ago. What do you propose to me? Is there a risque of getting worse or side effects? And Do you know the difference between the cell terapy in Costa Rica and Xcell in Cologne, Germany and in china. I want to had it for my son. I would be greatful to receive your reply. I thank you in advance. I am writing you from Switzerland. I have a six-year-old boy who suffers of autism. I heard about this therapy a week ago. What do you propose to me? Is there a risque of getting worse or side effects? And Do you know the difference between the cell terapy in Costa Rica and Xcell in Cologne, Germany? Hi kent my name is Erik Santoso. I have kept my son umbilical cord blood when Dominic was born. now he is diagnosed as ASD and non verbal at 3.5 yrs old. Is there any reference for using our son own stemcells from umbilical cord blood? Has anyone received stems cells from Dr.Radar? I am looking at all sorts of stem cell treatments at this point. Two options for Autistic stem cell treatment now! For more info on stem cell treatments for Autism, look up repair stem cell. Hello Kim ! Hello everyone! Hello from Poland! Thanks again Kim for beautiful Polish Xmas wishes!! Alle the best to all in New Year ! Like I said in December 2008 ,in Poland we are trying to "push" SCT but is not easy! I have a question to those that just have done it in CR .Did You do oncology test for any tumour growth or family history follow ups .Can anzone e-mail me about CR procedure ?? I just want to veryfy all procedure . All the best from whole polish -autism community .We learn from You guys , you make me proud ! Thank You Very much for such wanderful web side . I do get ready for stem cell in Poland , where we live . I belive is time to change future ! We are looking for a POST Stem cell Diet? Hi My name is samira i have a 6 year old autistic boy he has tons of heavy metal in his body such as mercury and i was wondering would the stem cell treatments be a good idea if he has a lot of mercury in his body? Cellmedicine's International Affiliates (the same fantastic doctors we did our last 2 treatments with) are treating Autism once again in various international locations. We fully endorse these doctors as everyone knows the huge success Matthew has made with them. These doctors have went the extra mile and have published the stem cell for Autism in a medical journal. We fully trust them as having experience in treating this disorder and as being properly credited doctors in their countries. If interested in going with the doctors Matthew was treated by, please contact them through www.Cellmedicine.com and fill the patient application therein. treatment? I have a 15 year old autistic daugther, She has severe mental retardation with seizure disorder. She has a very good motor skills but she's non-verbal. My e-mail add is vicentegonzalezjr@yahoo.com I would appreciate it very very much. I am Gabby, Mother of 2 ASD boys that will soon receive Stem Cell treatment...Matthew and Patricia have been inspiration for many parents that are looking in to Stem Cell treatment for Autism...They are are the hope and dreams for our children's future!!! We are in the process of doing Stem Cell...Matthew and Patricia are my inspiration, and hope for my children!!! Kent - thanks for the info - I just struggle with how does one know they are done with chelation? We did do TD-DMPS for about 18 months - but I really don't know if it worked? Maybe we need another kind or type (IV?) We have made some progress in recent years - but also doing other things - so don't know what's working and not? He's still non-verbal and not potty trained at 7 - so lots of work still to do. By identical donor, my ASD kiddo has an idetncial twin brother who is not diagnosed with ASD - I was thinking an infusion from him since I know genetically its a match. Now I just need to come up with about $20 K and could try the stem cell route ... maybe I'll play the lottery! I have often wondered if self-banked cord blood would either be helpful in leading to a cure, or in determining if indeed mitochondrial disorders were present at birth or were the result of a later (vaccine) injury. Currently, I am checking out the stem cell theraphy from beike biotech in china. according to info sent to me, they use the fresh umbilical cord blood from the donor. They don't use the frozen one. Cost wise USD 25,000 per 6 injection (IV or lumbar). Currently checking out with them whether the heavy metal is a serious issue prior to SCT (stem cell theraphy) or not. I think it'd probably be best to put in an application at www.cellmedicine.com and see if you can get into the Panama clinic when it opens. It seems like a good idea, though, to be sure your kid is nearly done with chelation so you get the biggest bang for your buck. 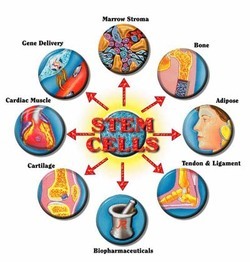 Stem cells makes perfect sense as the final piece of the puzzle. Since toxins destroyed or didn't allow neurons to grow or develop, something needs to jump start the process and stem cells seems to be the ideal. However, I see it only working after the body is cleansed of the toxins. Isn't this what's being found in HBOT use? I don't have cord blood banked - but any ideas on where I can get an infusion from a living donor? I have a living genetically identical donor. Thanks for the question. I've put in a call to Thomas Powers' office to see if I can get an answer. I'll post when I have something. his fellow Petitioner, Jordan King? "It is thought that those children who are most likely to benefit are those children who have undergone significant removal of heavy metals as well as addressing the various bacterial and viral infections, but still have not shown expected recovery." This is exactly what Dr. Buttar was talking about back in 2004. However, he did not speak about Stemcells but he did say that mercury and other heavy metals were the spark that kept the fires burning and that once the spark is removed then and only then can we start to see good results. For instance, you do not want to try stemcell therapy when your child still has massive amounts of heavy metals in the body because they too will degenerate. The window of time does exist and the sooner you treat the better the outcome. I just hope the stemcell treatment is not something that is too good to be true. I am keeping my fingers crossed. We have also gone to Costa Rica for stem cells. We have our child's own cord blood banked, but have yet to find a doctor here in the US to infuse it. Our child has had some cognitive and receptive gains. It is still too early to tell what result we will have in the end. Our family saw enough, though, to want to return for a booster. It is expensive, yes, but we felt that all the money didn't matter because there was a chance of improvement. That is priceless. Since there has never been a case where a child has ended up worse because of stem cells, including China, India, the Dominican Republic (who use fetal cells, not cord blood), Mexico or Costa Rica, we decided the worst that could happen is that he returns unchanged. Most of these countries have been doing this for years, and years. What I don't understand is where has the US been? Umbilical cord blood is not contraversial, and is thrown away daily. We had to try, and felt we owed that to our boy. Since there is no blood component involved, only stem cells from a donor umbilical cord, there was no chance of rejection or infection. The people in Costa Rica are wonderful, helpful, and above all, treated our son very well. Thank you to the Faiella family who have been wonderful friends to us through it all!!! Thank you Kent, for interviewing me; it was a pleasure talking with you. I hope this story can help millions, spark clinical trials here in the states. I admire Age of Autism for publishing the story. This is wonderful news Kent. Thank you very much. When it was clear that John McCain would defeat Mike Huckabee we were left with three Presidential candidates that all support stem cell research. This was the best possible outcome in my opinion. Given that we have had very limited success with virtually every treatment you've ever heard of with our 17 year old son, I've always thought that stem cell research was probably the most promising approach to recovery. I plan to vote for Obama primarily because I think he'll really move things forward in this area whereas John McCain is going to get a lot of resistance from his own party. This is my number one issue. Hopefully we'll see more progress in this area now that people are starting to pay more attention to us. "Current estimates are that about 50-60% of the kids treated with this therapy have responded positively, sometimes dramatically"
This could say the same for chelation, HBOT, even anti-fungal treatment. My question with stem cells is, what percentage have "dramatic" results. Are we talking one in a hundred? One in ten thousand?